The day after a man murdered 11 Jewish worshipers in Pittsburgh, President Donald Trump described the shooter as “sick,” “evil,” and “demented.” This was no unique occurrence; President Trump has described mass shooters as “demented” on at least three other occasions in the last two years. This isn’t OK, PMC Co-Director Dr. Jason Karlawish wrote in a special edition of his Forbes column. 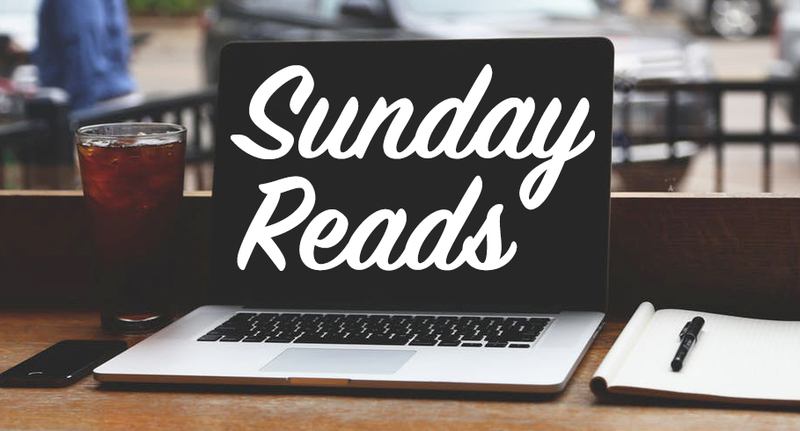 Editor’s Note: For this week’s Sunday Reads, the Communications team decided to hand the post over to our social work team. We hope you enjoy the switch and gain another perspective of the work we do here at the PMC. The social work department has been talking about this recent New Yorker article, “The Comforting Fictions of Dementia Care.” The article explores how clinicians and caregivers bend the truth to improve the lives of their patients and loved ones with dementia. In the clinic, these instances are known as “therapeutic white lies.” It’s a way to connect the clinician or caregiver with the patient’s reality in order to preserve dignity and soothe symptomatology. A common example involves patients asking about deceased loved ones. Reorienting patients to objective reality would require a painful and perhaps traumatizing reminder of their loved one’s passing. Instead, the clinic’s social workers encourage a therapeutic white lie response based on a “yes, and…” approach. What this looks like in practice depends upon the patient’s specific circumstances. It requires understanding the year and location that the patient is operating in and what their loved one would be doing then, as Ian James, BsC, MSc, PhD, of the Northumberland Tyne and Wear NHS Foundation Trust, deftly described in an article published in journal The Cognitive Behaviour Therapist. This requires saying “yes” to the patient’s reality then filling in the missing information with “and,” supplemental pieces from the patient’s reality. A spouse might be at the grocery store. A child might be playing outside. A family pet might be on a walk with another family member. The goal of therapeutic white lies is to serve the best interest of the patient by meeting them where they are, even if that means suspending objective reality for the duration of the interaction. PMC Co-Director Jason Karlawish, MD calls it a “loving deception” that mitigates distress, sadness, and anger. This therapeutic tool can also encourage patients to act more safely. As helpful as therapeutic white lies can be, they do have consequences. Caregivers often report feeling badly about not being honest with their loved one. Sometimes the clinician or caregiver gets caught in a therapeutic white lie, creating a feeling of manipulation in the patient. Such concerns are normal and valid. They are also not something caregivers have to deal with alone. The social work staff is happy to help navigate individual situations to assess the best use of therapeutic white lies. They can also provide coaching to caregivers who are unsure about how to proceed or simply want more information. My name is Sarah Bujno, and I’m a PMC macro social work student. I focus on ways to create systems-level change through research, program planning and evaluation, and data analysis. At Penn, I’m earning my Master of Social Work and Master of Public Health, as well as certificates in gerontology and cognitive aging. Working with older adults presents a series of challenges and successes that I find intellectually stimulating and incredibly rewarding. I especially appreciate hearing each person’s unique story, entering into their reality in some way. We’d like to officially welcome our 2018-19 PMC interns! Sarah Bujno, Nora Garland, Laura Vargas, and Matt Volpe, all of whom are students in the Master of Social Work program at the University of Pennsylvania’s School of Social Policy and Practice, joined the PMC social work team. You can read more about their backgrounds here. Janissa Delzo, Linnea Langkammer, and Sharnita Midgett are the new communications interns. You can read more about their diverse skill sets here. Women in medicine from across Philadelphia met at the University of Pennsylvania’s 21st Annual FOCUS Fall Leadership Development Conference on Friday, October 12. A handful of members from the Penn Geriatrics Division were in attendance, including Shana Stites, PsyD, MA, MS, who is also a PMC Scholar. One of the missions of FOCUS, founded in 1997, is to address the underrepresentation of women in senior levels of academic medicine through efforts such as conferences and workshops. The Ralston Center is hosting a free event, “More Space in Your Place: Downsizing, Decluttering and Organizing to Support Independence for Older Adults,” which will include information on how to identify clutter in the home and how help from an occupational therapist and other local resources can assist older adults in the decluttering process. It will take place on Wednesday, November 7, 2:00-3:00 p.m. Check-in is at 1:45 p.m.; Advance registration is required. The PMC’s weekly Dance for Health session will take place on Saturday, November 10, 10:00-11:30 a.m. More information can be found here. P.S. Daylight saving time ends today. Remember to turn your clocks back an hour!